My name is Dr. Daniel….Birmingham, AL Gum Disease Dentist-thanks for coming to this website. 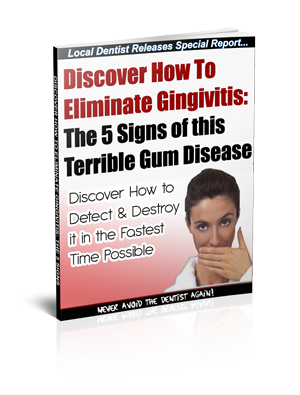 Complete the form below for free instant access to this report and discover if you have the terrible gum disease Gingivitis and learn how to detect and destroy it! Plus, you’ll get the step by step plan that shows you exactly what to do if you have any of these hidden signs before it’s too late! Complete the form below to get it all now!